Replacement: None. 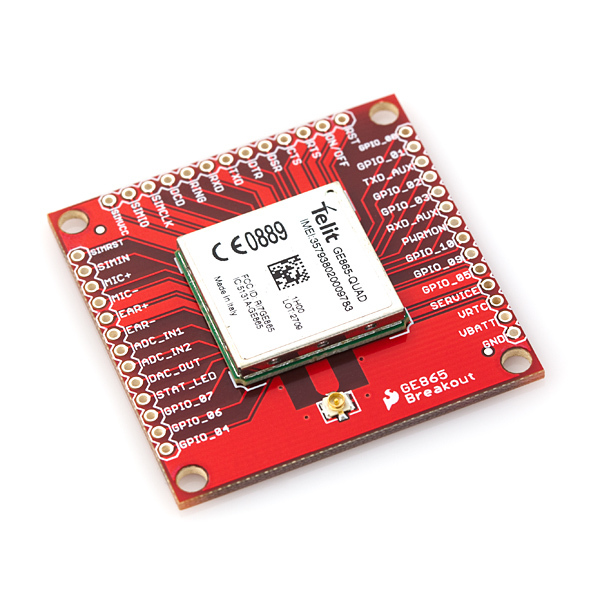 We no longer carry this particular breakout or module but check out the cellular category for more cellular modules and evaluation boards. This page is for reference only. 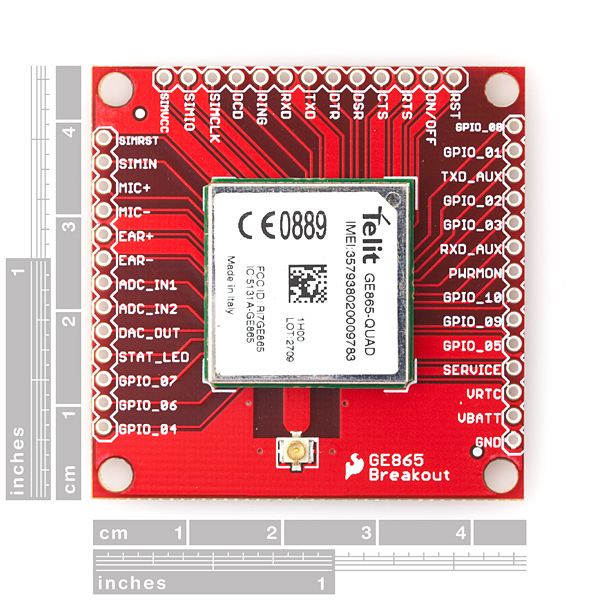 This is a breakout board for the new Telit GE865 Quad cell module. The board comes with the module installed, as well as a U.FL antenna connector. Standard 0.1" spaced headers allow easy access to a full range of functionality. Just connect your power supply (3.22-4.5VDC, 3.8VDC nominal), SIM card, antenna, serial connection and a power button and you're off and running! The new GE865 product family introduces the smallest GSM/GPRS Ball-Grid-Array (BGA) modules in the market. The low profile and small size of the unique BGA package for the GE865-QUAD enable the design of very compact applications. Since connectors are eliminated, the solution cost is significantly reduced compared to conventional mounting. State-of-the-art ADCs, DACs and GPIOs provide connectivity to external peripherals such as sensors and displays. Any hints on how to route to the antenna pads in Eagle? I assume that the outer (ground) ring is ignored, and the center pin 'just flows' when it's assembled? 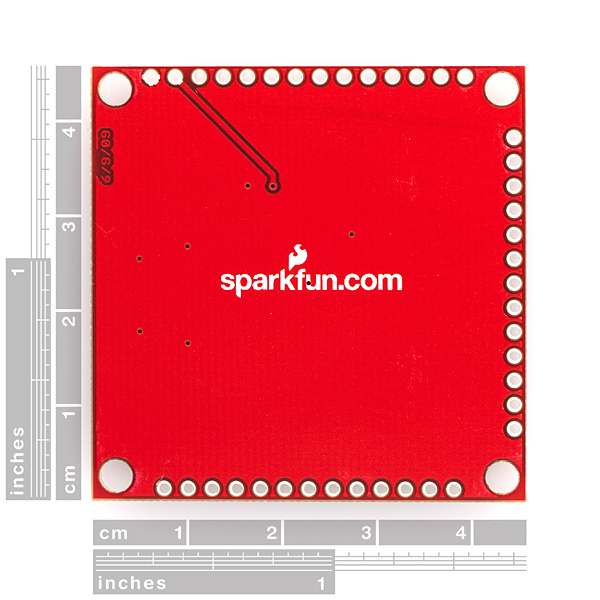 Can you supply either the .brd file, or a pic of the antenna area on the PCB? Thanks! beware that while the module requires ~3.8v to operate, the I/O pins are only 3v tolerant (2.8v really)! You'll likely need to do some level shifting and order a 2.8v regulator from somewhere to interface this to most PICs.